Hi friends! I hope you're having a great weekend. We are ok. Just lots of running around and errands. It's sunny though so that's lovely! 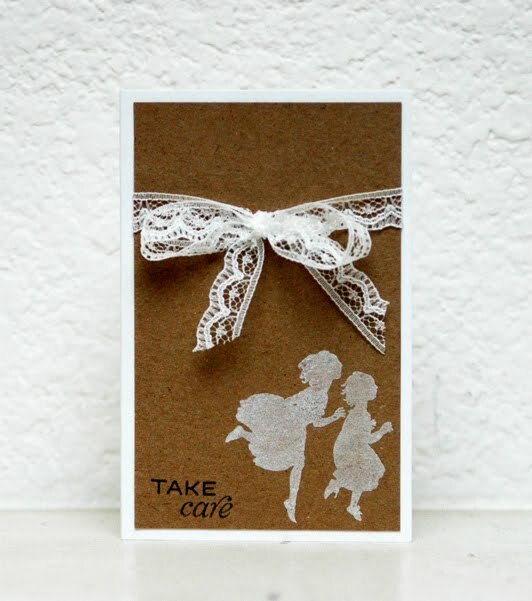 Today, I wanted to share a couple simple cards I made with silhouette stamps. This is the current Gallery Challenge for Paper Crafts Magazine. I just wanted to make very simple cards. I normally make lavish vintage cards with silhouettes and thought it might be fun to change it up. This first card used a Jenni Bowlin image on some Webster's Pages paper. I wanted to keep the embellishments minimal so that you could still see the gorgeous paper. The lace is from May Arts, the flower is CTMH, and the gem is Doodlebug. The sentiment is from Unity Stamp Co. I went even more simple with this next card which is a mini card. 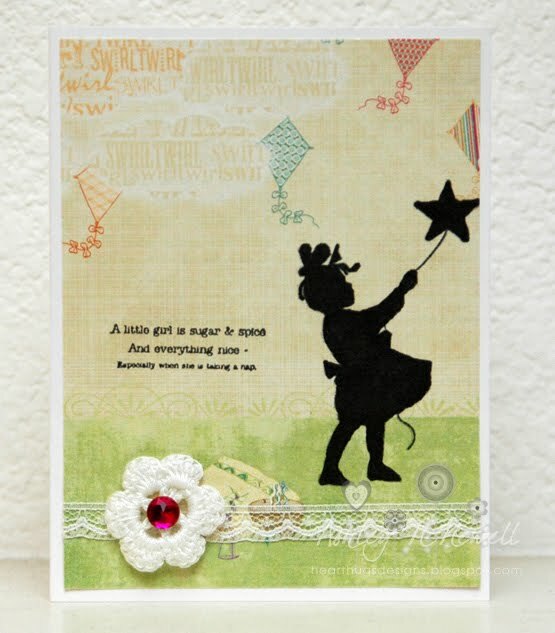 The image is from Wow Embossing Co's line of stamps and the sentiment is from Flourishes. I really love kraft, white, and black. It speaks to me.